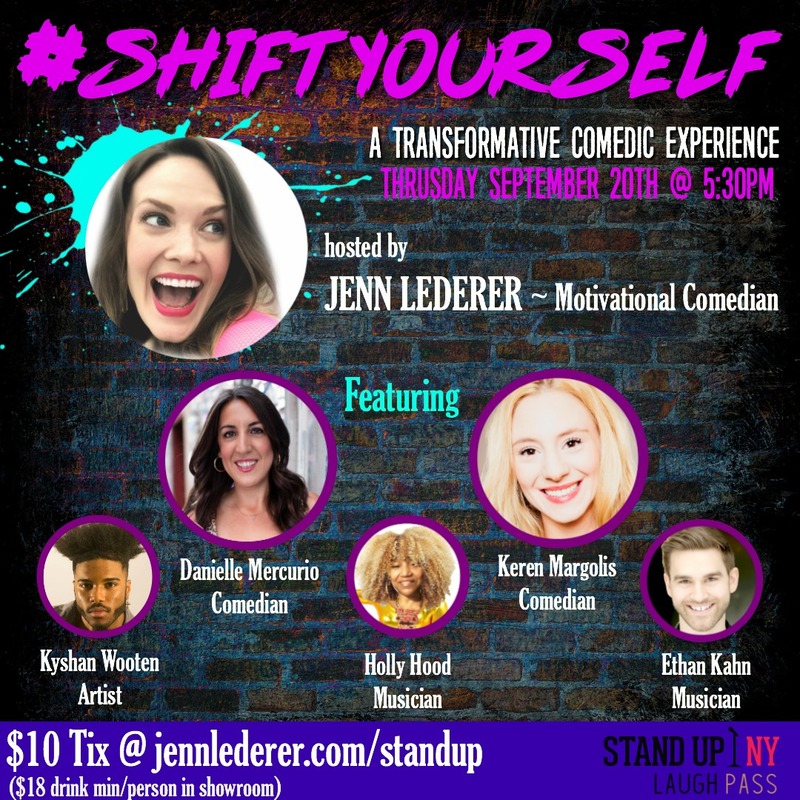 #SHIFTYOURSELF is a 90-minute transformative variety showdesigned to make an entire audience shift themselves while enjoying a killer line-up of comedians, LIVE music, and other creative expressions throughout the show. Note that there is a food and beverage minimum of $18 per person. Hosted by motivational comedian Jenn Lederer, the lineup also features comedians Danielle Mercurio and Keren Margolis, with artist Kyshan Wooten and musicians Holly Hood and Ethan Kahn.